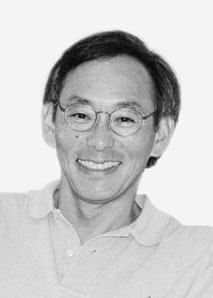 American physicist Stephen Chu developed a new means to study the interaction between matter and radiation, by using laser technology to supercool and manipulate atoms. Under normal conditions atoms are perpetually in motion at speeds of up to 2,480 miles (4,000 kilometers) per hour, but as temperatures are reduced to near absolute zero the atoms are greatly slowed, making it much easier to isolate, capture, and study individual atoms. Chu first demonstrated his process of atom-trapping, using three pairs of orthogonal counter-propagating laser beams to slow the atomic motion, in 1985, while employed at Bell Laboratories. The process is also called "optical molasses". Chu won the Nobel Prize for Physics in 1997, shared with Claude Cohen-Tannoudji and William D. Phillips. He later taught at Stanford University and administered the Lawrence Berkeley National Laboratory. He was appointed US Secretary of Energy by President-elect Barack Obama on 15 December 2008, and took office on 21 January 2009. In accepting the post, Chu said that he saw global climate change as "the greatest challenge facing science", and that he hoped to strengthen the Department of Energy's support for renewable energy sources that will not exacerbate global warming.